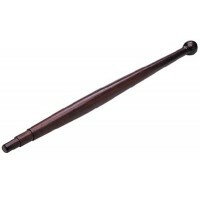 Accommodates wooden staff with shoulder. 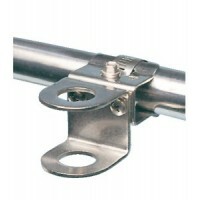 Fits: 7/8"-1" horizontal rails.. 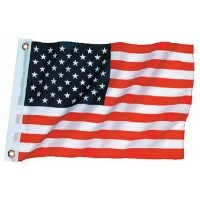 Provides easy attachment of flags, boat canopies, covers and curtains. Extra long reach of hook will.. 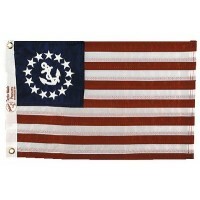 Bone flag blue Size: 18-1/2" W x 11-1/2" HType: BoneColor: Blue/White..
Chrome plated bronze. Screw is #8. Style: SternDepth: 1-3/4"ID: 1"OD: 2-3/8"..
Chrome plated bronze. Screw size is #8. Style: SternDepth: 1"ID: 1"OD: 2-1/2"..
Chrome plated bronze. Screw is #8. Style: SternDepth: 2"ID: 1-1/4"OD: 2-5/8"..
Chrome plated bronze. Screw size is #8. Style: SternDepth: 2-1/8"ID: 1-1/4"OD: 2-3/4"..
Flagstaff chrome 1/2in x 14in OD: 1/2"Length: 14"..
Flagstaff chrome 3/4in x 14in OD: 3/4"Length: 14"..
3/4 x 18 flag staff f/1302 OD: 3/4"Length: 18"..
Chrome plated bronze. Screw is #8. 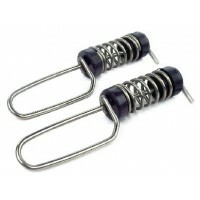 Style: SternDepth: 1-3/4"ID: 3/4"OD: 2"..
Chrome plated zinc alloy with black plastic knob. 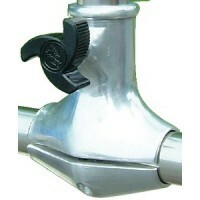 Bracket: 2" x 1-3/4"Fits: 3/4"-1" railsSocket: 3/4..
Aluminum pole w/chrome plated zinc alloy socket. 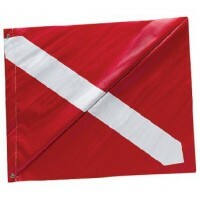 Fits 16"H flag. Flag not included. 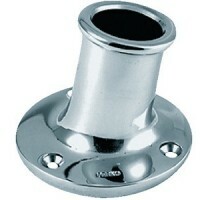 Style: Angled Te..
Chrome plated brass and chrome plated bronze socket. Fits 16" high flag. Flag not included. Style: A..
Chrome plated brass and chrome plated bronze socket. Fits 16" high flag. Flag not included. 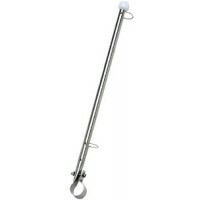 Style: S..
Aluminum pole w/chrome plated zinc alloy socket. 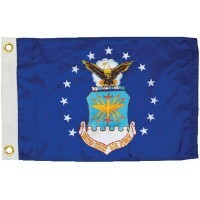 Fits 16"H flag. Flag not included. Style: Clamp-on,..
Chrome plated bronze. Screw is #8. Style: BowDepth: 1-3/4"ID: 1"OD: 2-3/8"..
Chrome plated bronze. Screw is #8. Style: BowDepth: 2"ID: 1-1/4"OD: 2-5/8"..
Chrome plated bronze. Screw is #8. Style: BowDepth: 1-1/2"ID: 3/4"OD: 2"..
Chrome plated bronze. Screw size is #8. Style: BowDepth: 1-3/4"ID: 3/4"OD: 2-1/8"..
Chrome plated bronze. Screw size is #8. Style: BowDepth: 1"ID: 1"OD: 2-1/2".. Formed 304 Stainless. 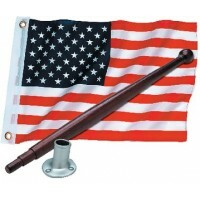 Each flag pole comes complete with split rings for easy flag attachment. Base:..
Chrome plated brass. Take #6 fastener. Carded. A: 1-1/4"B: 2-3/4"C: 2-1/8"..
Chrome plated brass. Take #6 fastener. Carded. A: 1"B: 2-1/2"C: 2"..
Chrome plated brass. Take #6 fastener. Carded. A: 3/4"B: 2"C: 1-3/4"..
Made of highly polished, heavy wall stainless steel tubing. 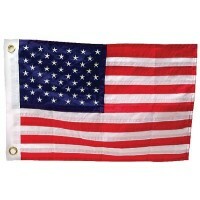 The flag is attached to the flagpole usi..
Investment Cast 316 Stainless A: 1-1/4"B: 2-7/8"C: 2-1/2".. Formed 304 Stainless. Each flag pole comes complete with split rings for easy flag attachment and ha..
Injection molded nylon and stainless steel. Complete with split rings for easy attachment. Fits: 7/8..
Made of 304 stainless steel. 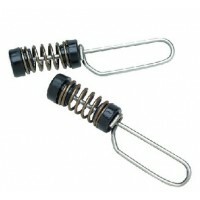 Spring loaded for easy installation. Keeps flags flying even at low spe..
Print dyed nylon. Canvas header. 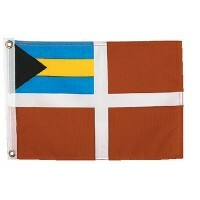 Size: 12" x 18"Type: Bahamas Courtesy..
Print dyed nylon. Canvas header. 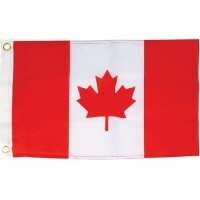 Size: 12" x 18"Type: Canada..
Print dyed nylon. Canvas header. Size: 12" x 18"Type: Cuba..
Made of vinyl with stiffener. Poly bagged. Size: 20" x 24".. Flag pole socket Fits: 77021 Flag Pole..
Print dyed nylon. Canvas header. Size: 12" x 18"Type: Jolly Roger..
Print dyed nylon. Canvas header. 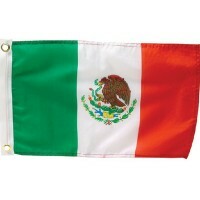 Size: 12" x 18"Type: Mexico..
Print dyed nylon. Canvas header. 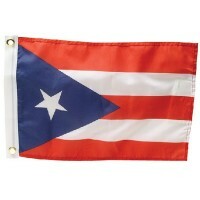 Size: 12" x 18"Type: Puerto Rico..
Print dyed nylon. Canvas header. 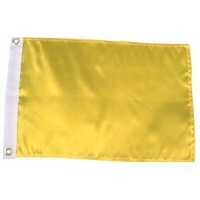 Size: 12" x 18"Type: Solid Yellow..
Rail clamp flag staff Fits: 7/8" railLength: 15-3/16"..
Print dyed nylon. Canvas header. 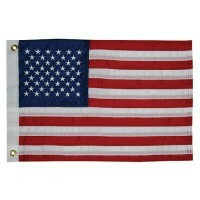 Size: 12" x 18"Type: United States..
Perma-print nylon. 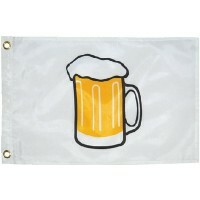 Size: 12" x 18"Description: Beer..
Perma-print nylon. 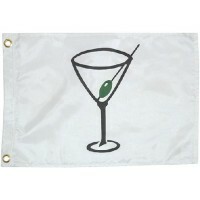 Size: 12" x 18"Description: Cocktail..
Perma-print nylon. 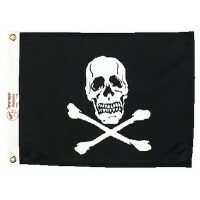 Size: 12" x 18"Description: Jolly Roger.. 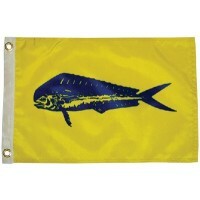 Flag 12ftx18in nylon blue fish Size: 12" x 18"Description: Bluefish.. 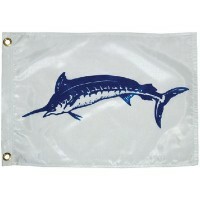 Flag 12inx18in nylon dolphin Size: 12" x 18"Description: Dolphin.. 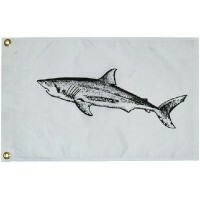 Flag 12inx18in nylon mako shar Size: 12" x 18"Description: Mako Shark.. 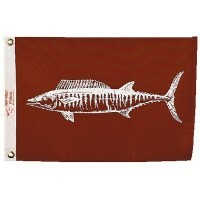 Flag 12inx18in nlyon marlin Size: 12" x 18"Description: Blue Marlin.. 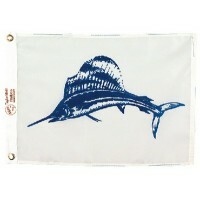 Flag 12inx18in nylon sailfish Size: 12" x 18"Description: Sailfish.. 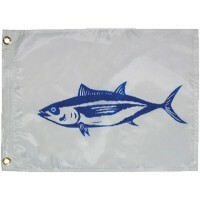 Flag 12inx18in nylon tuna Size: 12" x 18"Description: Tuna Catch..
12 x 18 wahoo flag Size: 12" x 18"Description: Wahoo..
Deluxe sewn nylon. Size: 12" x 18"..
With brass grommets. Screen printed on our vibrant bright nylon colors. Flag colors may vary. Size: ..